Parndhevi Riverside Resort & Spa is located among lush garden nearby Nakornchaisri River (or called Thagene River) of Ampor Sampran, Nakhon Pathom. Only 30 minutes drive from Bangkok (the Pinklao bridge), you will have a total escape from everyday life pressure with our real natural surroundings and original lifestyle of Nakornchaisri’s riverside community. Each of 15 Thai Lanna style villas is individually decorated & designed with unique wooden furniture and surrounded by tropical lush garden as well as connected by a wooden walking bridge over man-made canal. We serve you as the ‘Dhevi’ (V.I.P) with ultimate natural accommodation, riverside restaurant and relaxing spa service. These will absolutely fulfill your great relaxing day at our resort. 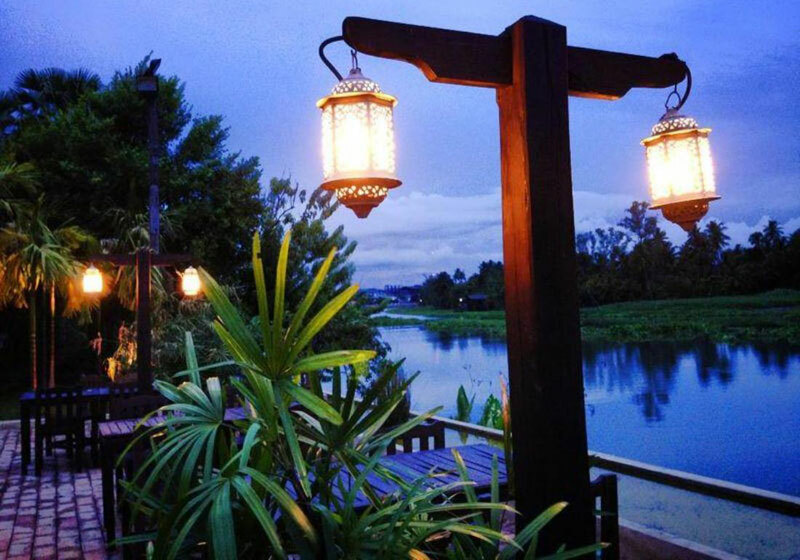 Short Description: Parndhevi Riverside Resort & Spa is located among lush garden nearby Nakornchaisri River (or called Thagene River) of Ampor Sampran, Nakhon Pathom. Only 30 minutes drive from Bangkok (the Pinklao bridge), you will have a total escape from everyday life pressure with our real natural surroundings and original lifestyle of Nakornchaisri's riverside community.